Inspired by her past sleuthing successes, Juliet Langley has officially joined the ranks of Nashville's licensed private investigators. 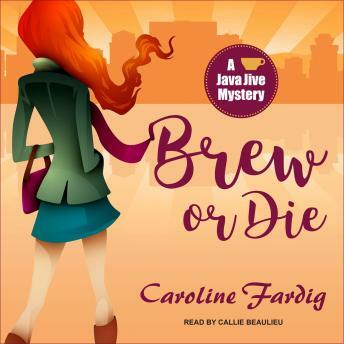 Her best friend, Pete Bennett, doesn't worry that her detective work might interfere with her full-time job running his coffeehouse, Java Jive. He just wishes she would spend her free time rejoining the local music scene instead of tailing cheating spouses. But when one of Java Jive's baristas, Shane, asks Juliet to look into the suspicious death of his fiancee, Pete encourages her to plow full steam ahead. Since his fiancee died on the job, Shane suspects that her party-planning colleagues are up to something criminal-and will do anything to keep it quiet. After Juliet recruits Pete to go undercover with her at a wedding showcase, she discovers that white lace and black satin have a way of hiding big, fat secrets. If that weren't enough to fill her plate, her latest P.I. job has her crossing paths with her ex, Detective Ryder Hamilton. They're barely on speaking terms, but to solve the case, they might have to cooperate. No matter where Juliet goes, she's brewing up trouble.